There are many options available to keep toddlers confined to a specific area of a house. You can easily add a temporary wall or set up a baby gate. One problem with most store bought baby gates is they are really only good for standard doorways and will not be big enough for a lot of other areas where you may need to “corral” your child. 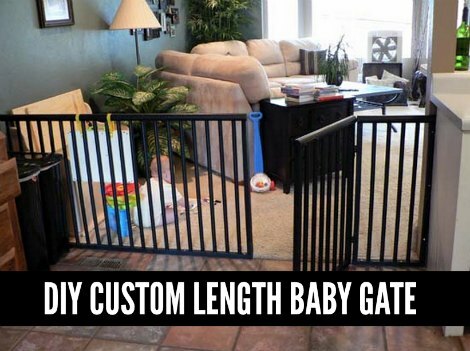 A good alternative is to make a custom length baby gate. A few basic materials are all that you will need to build a custom length baby gate. The only thing about this type of structure is determining the length that is needed. You can easily do this by using a tape measure or other measuring device. Assembling a custom length baby gate requires using various tools. You may need a saw and power drill. A durable glue is also an option. The design of your baby gate may depend on various factors like where it will be located and the materials that are available.